We have used the shipping pallets almost everywhere in recycled furniture ideas for homes, restaurants, offices and gardens. 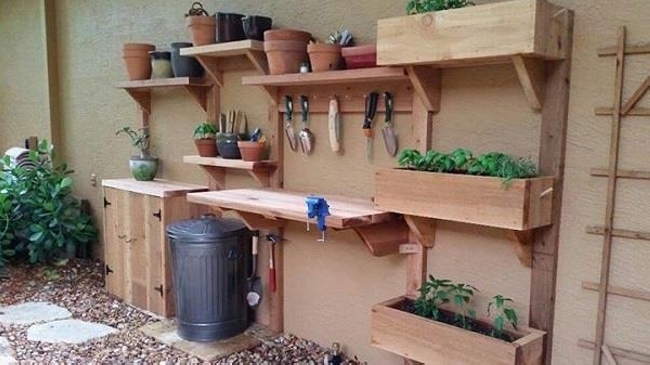 While using them in gardens, the garden decor items have remained pretty dominant throughout the pallet recycling. It has got so many reasons because while being used as garden décor ideas, we are left with a number of choices. We can manipulate the shipping pallets as desired. We can shape and mold them in various embellishments especially for the garden. 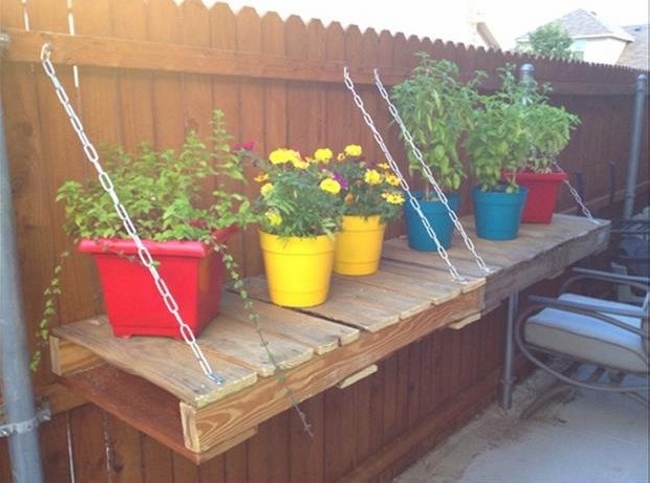 Many pallet creations can be counted as a garden décor idea. 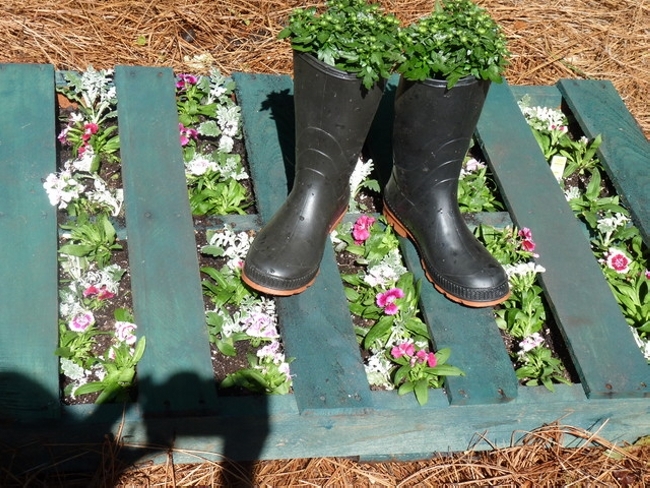 Here are some more pallet garden decorations that would do a perfect job for your green landscape that you have prepared with all love and care. Whenever it comes to the fencing of your garden, the very same shipping pallets are an ideal remedy. Being the cheapest timber, they can be applied to enclose the larger areas and you still don’t need to worry about the finances. 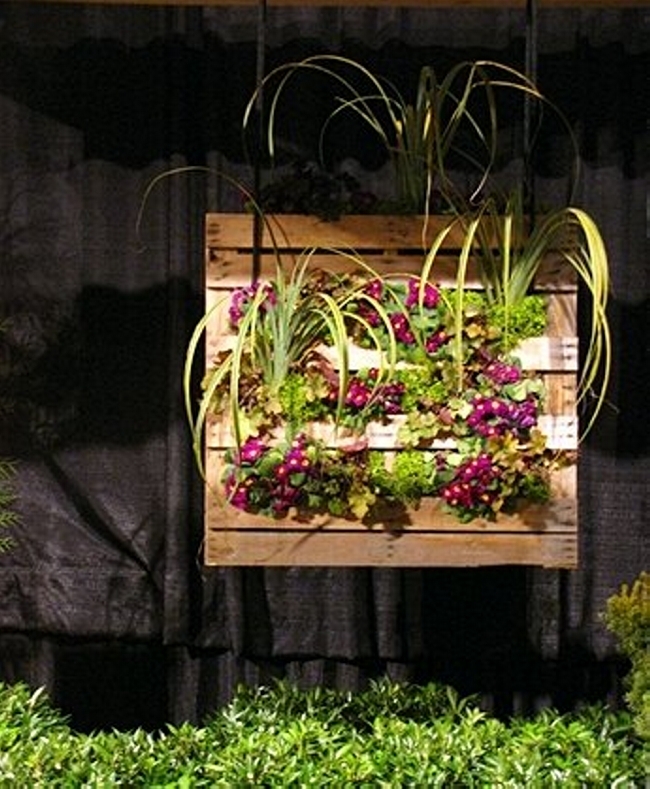 Making some wooden pallet planters is another great choice that can be executed with very shipping pallets. 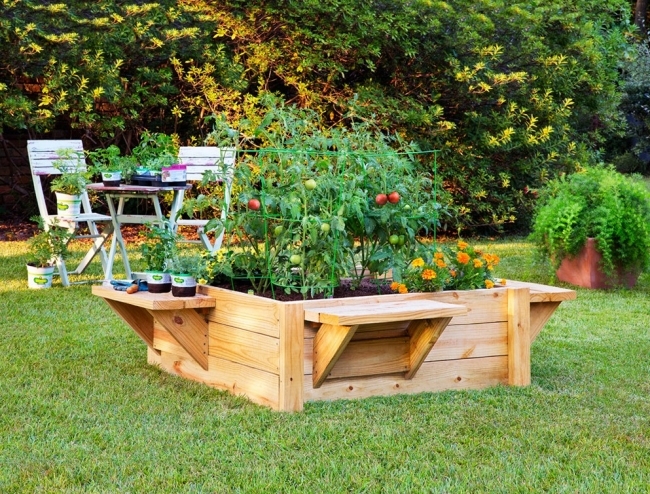 Here is a classic example of a pallet wood planter. 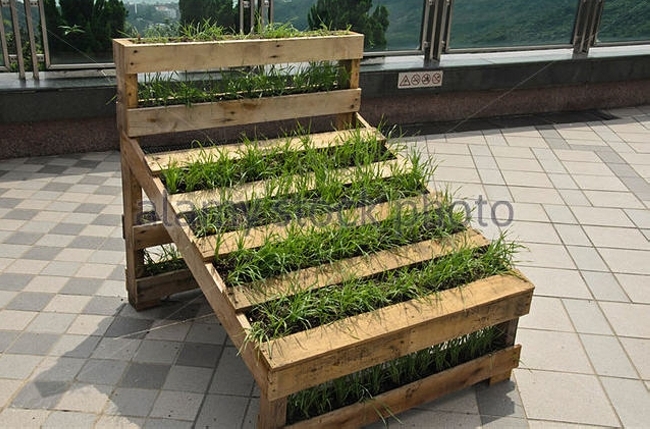 Made with some broken and bad pallets, this still makes a perfect garden installation that would add a lot to the beauty of the green landscape. If you are planning to recycle something grand with the pallets, this is still a smart choice because shipping pallets can mostly be obtained free of cost. 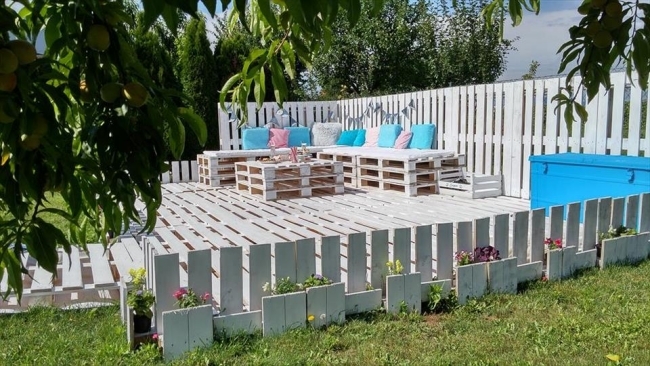 So go for this big set up inside the garden using the pallet wood, this would make a perfect place worth sitting in your garden. 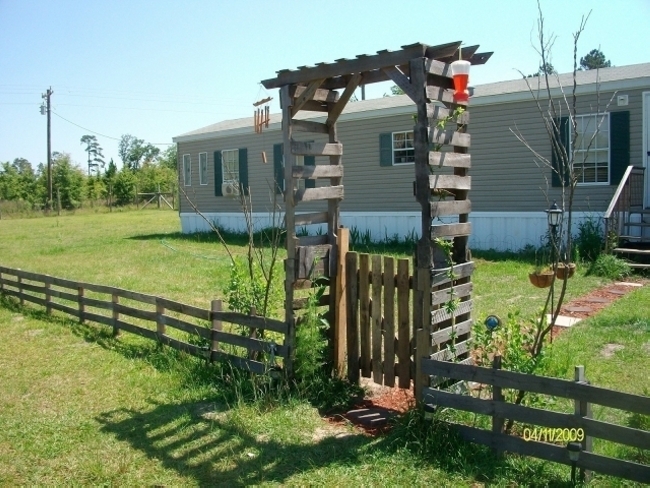 Turning a simple fence into a decorative wooden fence isn’t a big deal for the pallet wood. Because just have to make some slighter modifications to the straight shipping pallets and you would get what you have imagined. Just look at this vintage garden furniture, don’t ponder on the quality of the pallets that are used for the recycling, but just focus on the impact that is created here with the shipping pallets. This furniture would resist a lot to the extreme weather conditions and no need to worry about the possible decay that would occur to these pallet installations. 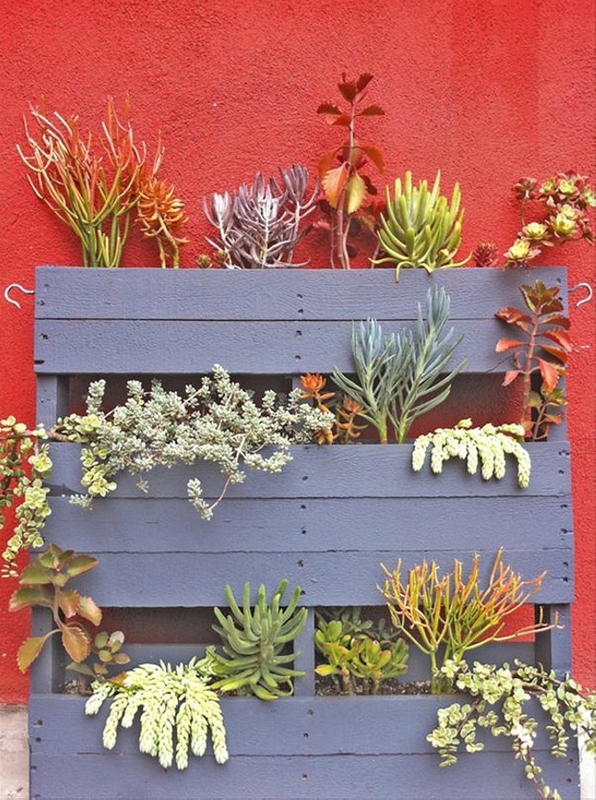 Now what about this wooden pallet recycled vertical garden? Well, this could be perfect substitute to a full fledge green landscape. Not all of us are provided with larger plots of land to be turned in garden, in this situation we can put the shipping pallets to the task. 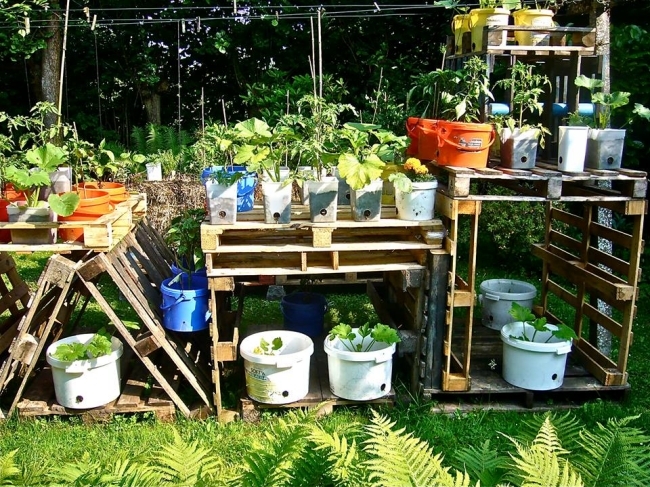 Here is another typical pallet wood garden, this holds the simplest design and shape. Apparently a whole shipping pallet is put on ground after a fine sanding a staining, filled with quality soil and immediately used to plant some favorite annuals. 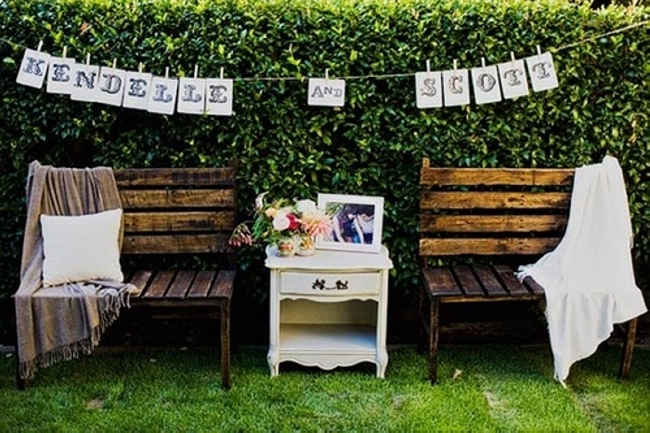 Here are some more supportive garden furniture items that you can use in multiple ways. You can use them while working in your garden, you can use them as planter containers, they would be pretty flexible meeting your demands, and the whole wooden arrangement is made possible with same pallet wood. 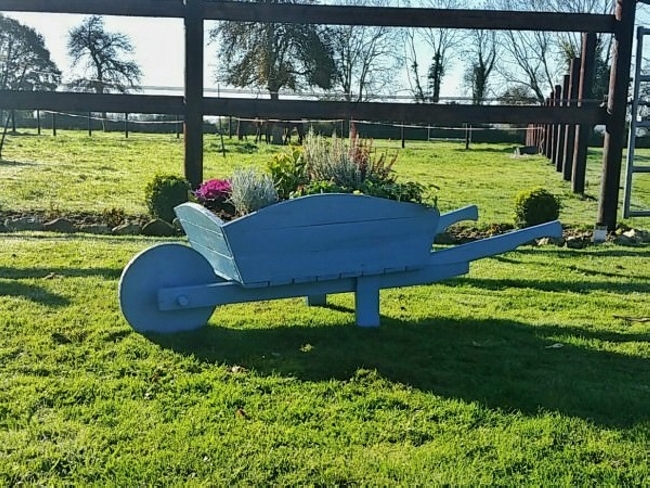 I would like to get this one recycled for my garden as it is simplest of all, the design can be pursued even by the beginners because you just need some dis assembled pallet planks, and a staple gun to join and fix them in this particular shape. 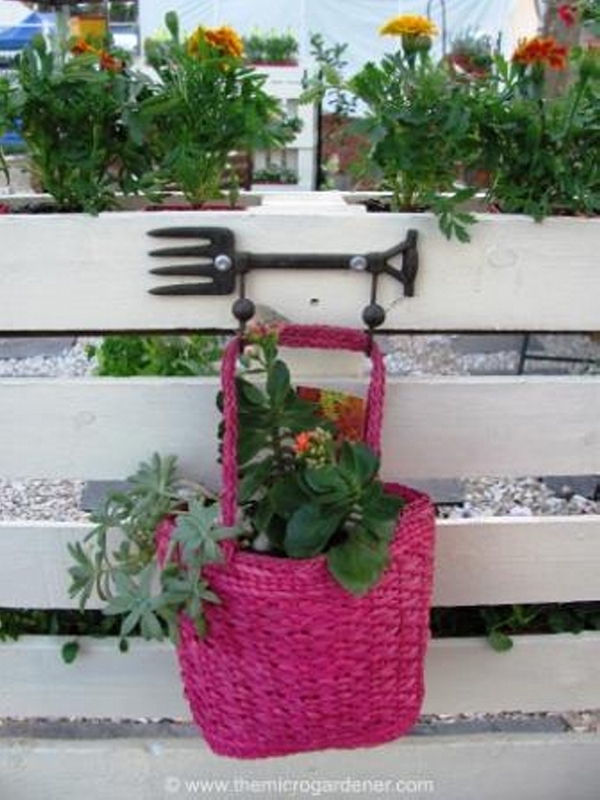 Let me introduce another garden embellishment here, this whole wooden pallet recycled rack hanging along the wall is especially designed to take some good care of your planter pots. Your multi colored planter pots would be more prominent while lying on this wooden garden installation, so this is worth giving a try. Now this is something big, and complicated as well. The design that seems apparently simple and easy could turn to be a menace if proper early homework isn’t done prior to getting started. 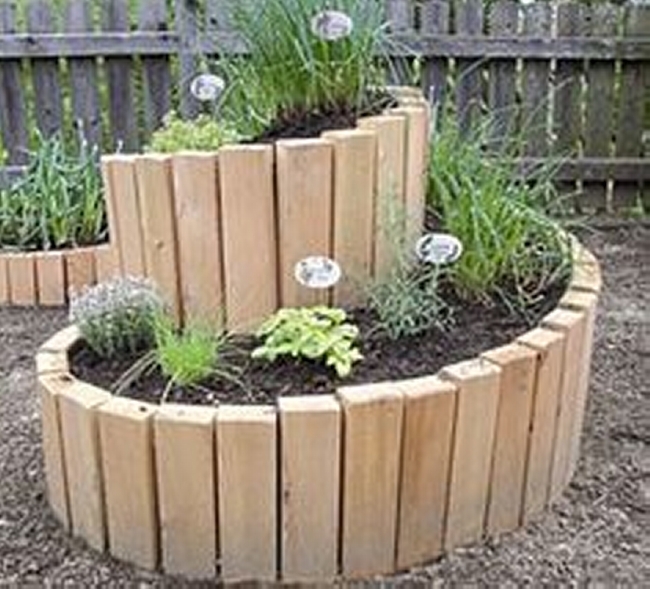 And if done successfully, this curvy pallet wood planter can do wonders for your garden making it look like an ideal green landscape. Pallet creation is all about your imagination, when you are having the sufficient supply of shipping pallets and you are also a good carpenter then you just need to select some recycling project, make your desired amendments in the design and just get started. 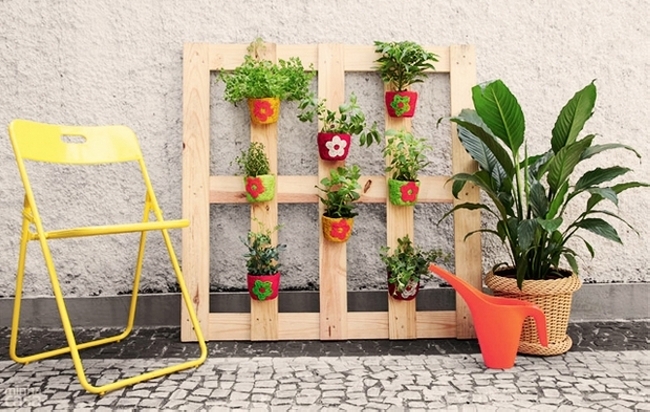 Wow, these pallet planters are simply cute. We just thought to shape them like an object, this was just to bring about some change in typical pallet wood planters. 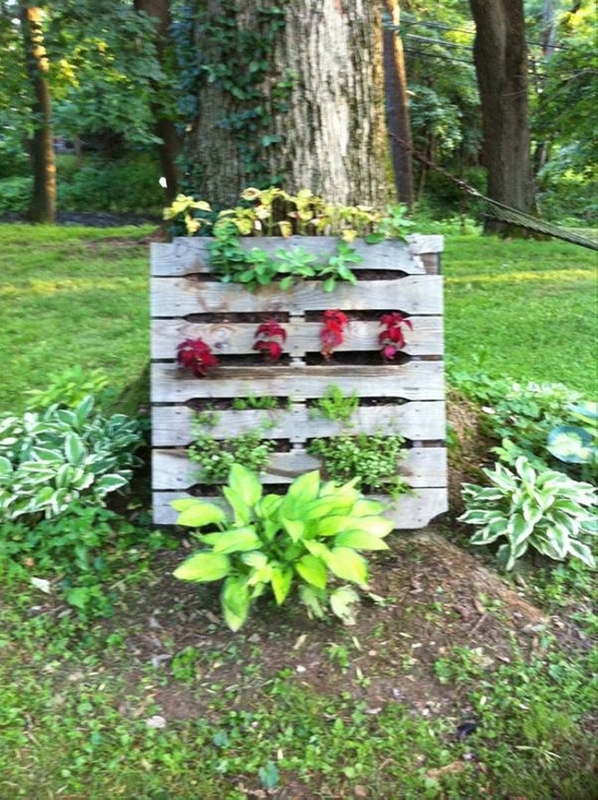 And I think we really succeeded in the task by recycling this beautiful pallet planter. They look like a decoration piece more than a mere planter. If you live a disciplined and organized life then you must observe the same approach in your gardening work as well. And for this you need this wooden pallet upcycled tool shelf. Infact this is a multi purposed wooden set up that can be exploited in a best manner. And this is something typical garden embellishment. 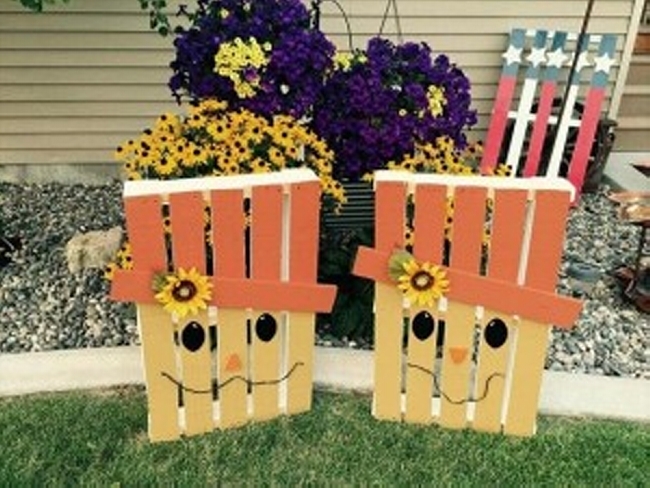 A whole pallet turned into typical garden décor idea, you can add more charm and attraction by recycling such crazy garden décor ideas just by pursuing your instinct and imagination. 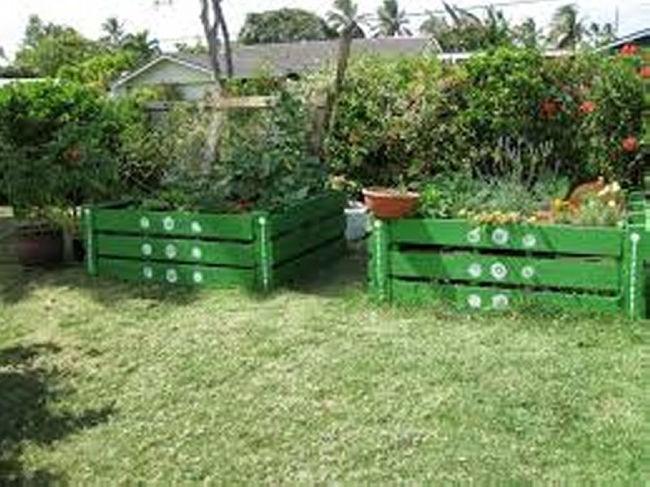 And the pallets would be the main component in such garden décor ideas. 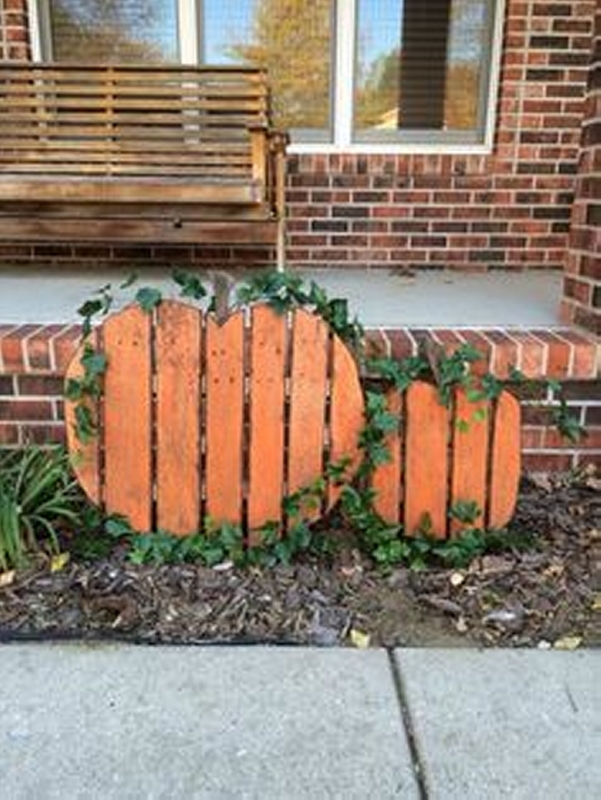 Awwwwww… how many of you have already made up their mind for recycling this garden installation? 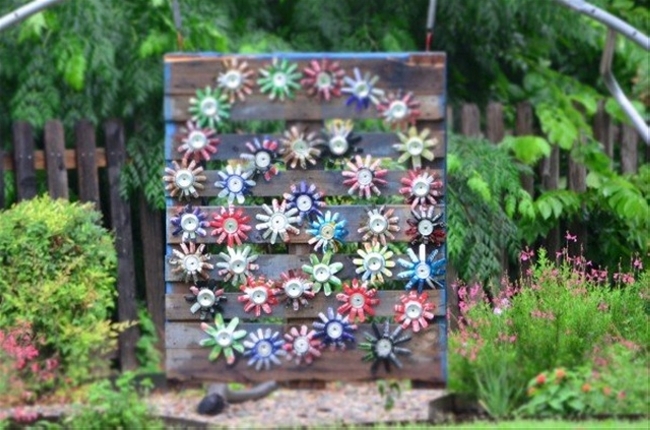 This could have kept simple, as regular garden fence, but just to add a decorative touch we painted them in this manner. This is going to be an alluring feature especially for the kids. There are a number of herbs and shrubs which can not be planted along with other regular plants and annuals. For them you need a different set up, in this situation the pallets are going to be there again for your rescue. 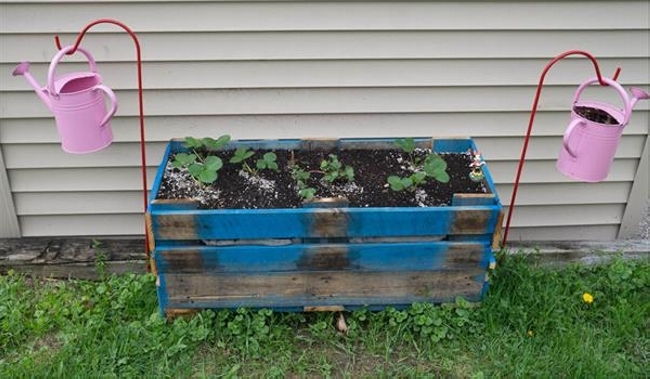 Recycle such mega pallet planters and use them for whatever you have to plant. 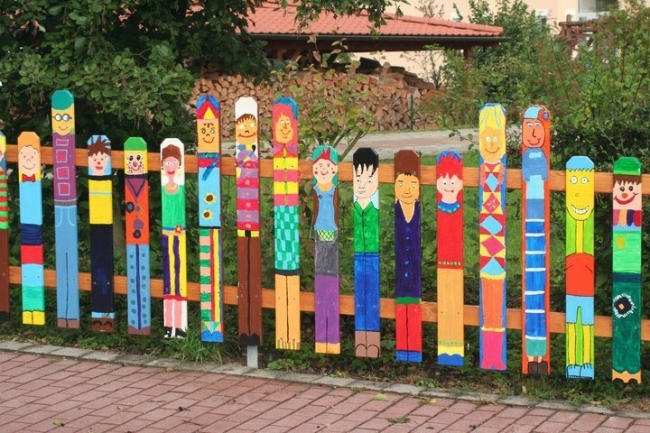 And the last caricatures made with pallet wood are installed here to welcome your every visitor that is heading towards your garden. This would let them know about your love for this garden, and also about your high class aesthetic sense as well.